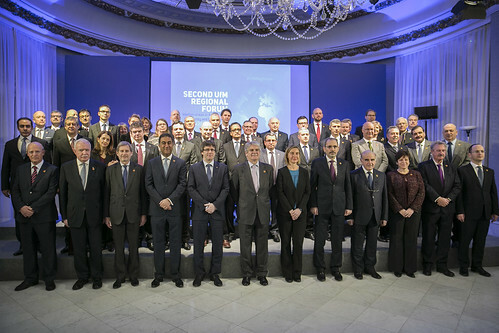 • The UfM Foreign Affairs Ministers give strong political impulse to the UfM by endorsing a roadmap for action at the second UfM Regional Forum, centered on the Mediterranean youth’s potential for stability and development. • UfM Secretariat and the Swedish International Development Agency (Sida) sign a €6.5 million multi annual financial agreement to support UfM core activities in three key areas in favour of a more sustainable and inclusive development in the region. • Launch of the UfM-labelled project Generation Entrepreneur aiming to promote entrepreneurship and job creation in 7 countries across the Mediterranean. Barcelona, 23 January 2017. Under the EU and Jordan UfM Co-presidency, the UfM Member States gave a strong political commitment today to strengthen regional cooperation in the Mediterranean by endorsing a roadmap for action at the second Regional Forum of the UfM, taking place on 23-24 of January in Barcelona under the theme of Mediterranean in Action: Youth for Stability and Development. Considering the current pressing challenges of the region linked to extremism, radicalisation and irregular migration, UfM Foreign Affairs Ministers under the Co-presidency of Federica Mogherini, EU High Representative for Foreign Affairs and Security Policy and Vice-President of the European Commission, Ayman Al Safadi, Minister of Foreign Affairs of Jordan, and Alfonso María Dastis Quecedo, Minister of Foreign Affairs and Cooperation of Spain, as the host country, underlined the key role played by the UfM as a unique framework for political dialogue and regional cooperation in the Euro-Mediterranean area. 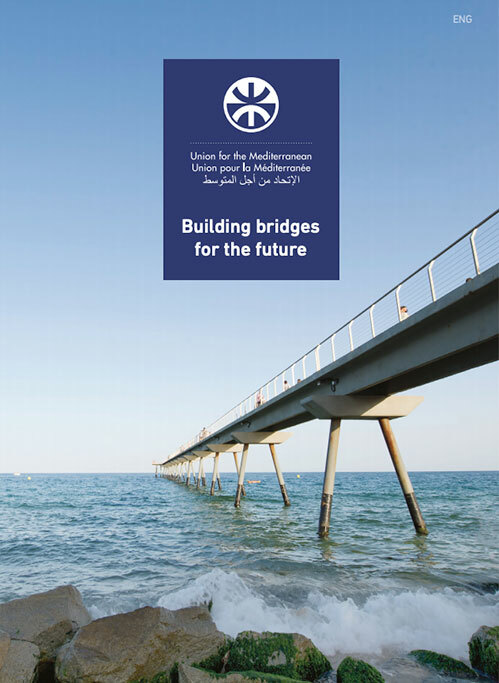 “With 47 labelled projects, 10 ministerial meetings, over 200 expert foras gathering 20000 stakeholders, the UfM activities illustrate the strong belief that regional challenges call for regional solutions and that there is no security without development. In this regard, youth is at the heart of the Mediterranean agenda”, underlined UfM Secretary General Fathallah Sijilmassi. 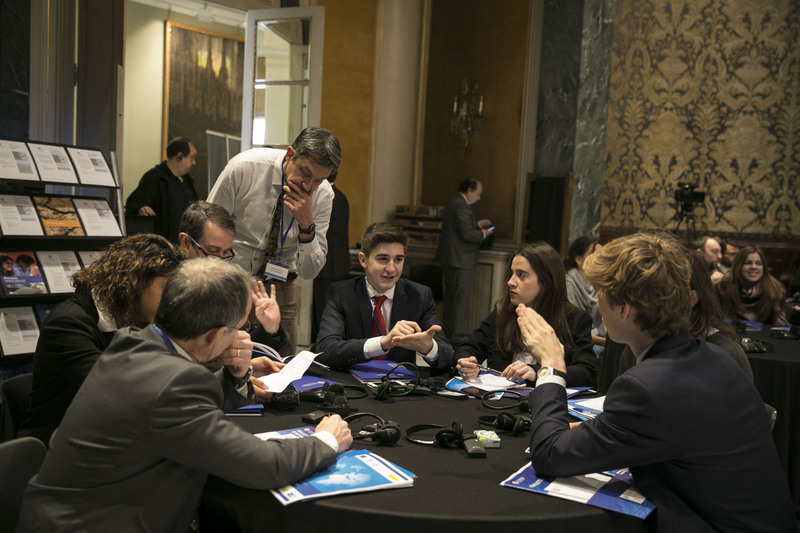 Many young beneficiaries of UfM labelled projects are attending the Forum highlighting thereby the action driven nature of the organisation. “Generating job opportunities and fighting against climate change are among the top priorities for young people. Young people can act as a driving force for sustainable development if we all work together. That’s why we have created the Mediterranean Youth Climate Network with the support of the UfM, a place to share ideas and implement tangible action, putting the Mediterranean region at the forefront of positive actors for sustainable development”, said Imene Bouchair, young representative for the Mediterranean Youth Climate Network. As a clear signal in support of enhanced regional cooperation and strengthened ties, the UfM Secretariat and the Swedish International Development Agency (Sida) signed a €6.5 million multi-annual financing agreement to implement and strengthen UfM core activities. The first agreement with a Member country of its kind, the focus will be to work on three key areas for the region: women’s empowerment and gender equality, climate action and energy, as well as water, environment and blue economy. The Regional Forum also saw the project “Generation Entrepreneur” officially launched under the framework of the Mediterranean Initiative for Jobs (Med4Jobs). The project offers a jobs and business creation training programme that will benefit some 79,000 school and university students from Algeria, Egypt, Jordan, Lebanon, Morocco, Palestine and Tunisia and is expected to create job opportunities, upon successful completion of mentorship, incubation and graduation from the start-up programmes. Furthermore, several UfM cooperation agreements were signed with the United Nations Office for South-South Cooperation and the Agadir Technical Unit. The Government of Monaco announced a financial contribution for the UfM project “Forming Responsible Citizens”. The project, promoted by the Spanish-based organisation Ideaborn, aims to contribute to the prevention of violence against girls and women through the implementation of a renewed civic education curriculum in Morocco and Tunisia. 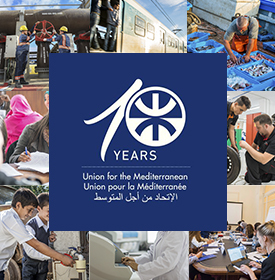 The UfM Regional Forum is bringing together 500 Mediterranean key stakeholders, including Ministers, official delegations, civil society and private sector representatives, regional stakeholders, International financial institutions and socioeconomic project promoters. The Forum will see the presence of the President of the Italian Senate in his capacity as President of the Parliamentary Assembly of the UfM, the Vice-President of the World Bank for the Mena region, the Vice-President of the European Investment Bank as well as other representatives of key institutions working in the euro-Mediterranean region.